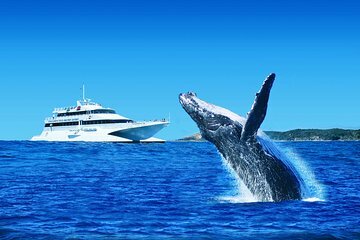 Spend a spectacular day on the water by going on a dolphin and whale watching trip. Take the chance out of spotting marine life by traveling with experts to places where dolphins and whales have been spotted before. You won’t have to bring snacks with you as a delicious lunch is provided on board. As well as spotting marine life, another perk is getting a day pass to Tangalooma Island Resort. You’ll be able to relax and enjoy the resort facilities, such as restaurants, bars, and pools.